Provide comfort for the family of Marsha Robbins with a meaningful gesture of sympathy. 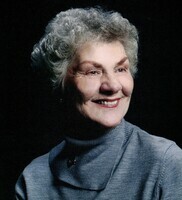 Marsha Lorraine Stroll Robbins, 80, of Hummelstown, passed away Monday, January 21, 2019, at home with her sons by her side. Born in Harrisburg on February 23, 1938, she was the daughter of the late Florence E. Brady and Joseph Stroll. Marsha was a devoted homemaker and caregiver who placed caring for others above herself. She graduated in 1956 from Central Dauphin High School; and completed her Registered Nurse training from the Harrisburg Hospital Nursing Program. Marsha was a member of the Hummelstown United Church of Christ and enjoyed helping in its kitchen. She was a volunteer with the Elder Express in Hummelstown. A hard worker Marsha restored her family farm on Middletown Road, and found joy in taking care of her lawn and home. She is survived by two sons, Jon W. Robbins, Jr. and Scott Frederick Robbins both of Hummelstown; and two grandchildren, Ian Robbins of Houston, TX, and Alexandra Robbins of York. A celebration of Marsha’s life will be held Friday, February 1, 2019, at 11 AM in the Hummelstown United Church of Christ, 104 East Main Street, Hummelstown. A private inurnment will be in the Mt. Laurel Church of God Cemetery, Piketown, at a later date. Friends may visit with the family Friday in the church from 10 AM until time of the services. Those desiring may make memorial contributions to the Elder Express, PO Box 104, Hummelstown, PA 17036; or Hummelstown United Church of Christ, 104 East Main Street, Hummelstown, PA 17036, for their Kitchen fund; or Humane Society of Harrisburg Area, Inc., East Shore Shelter, 7790 Grayson Road, Harrisburg, PA 17111; or to Compassionate Care Hospice, 1513 Cedar Cliff Drive, Suite 100, Camp Hill, PA 17011. To send flowers in memory of Marsha L. Robbins (Stroll), please visit our Heartfelt Sympathies Store.